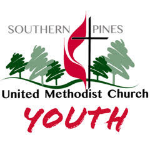 SPUMC Youth Mission Trip - Application Deadline Soon! Information has been e-mailed out regarding the mission trip. Mission Trip Application Packets can be picked up in the youth room. Everyone planning to attend the Mission Trip must fill out an application, including students and chaperones. The deadline is coming soon. April 28th is the last day to turn in deposits and your application! It is going to be a great trip! Hope to have as many students and chaperones be able to join us! New for 2019, it's called the Midweek Meetup. Throughout the year during various weeks we will meet sometime during the week for dinner and fellowship together! This is our fourth meeting of the year. 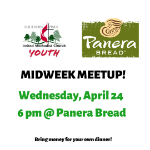 So come join us on Wednesday, April 24, at 6 pm at Panera Bread! Everyone needs to bring their own money for dinner! These will continue to take place throughout the year so be on the lookout for information regarding the next one. 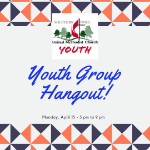 Come join us on Monday, April 15th, from 5 pm to 9 pm to hangout in the youth room. We will enjoy time together, play games, and just enjoy each other fellowship. Everyone is welcome! Hope to see you there! All of the dates are now taken. Thank you so much to everyone for helping provide a meal. The link is still below in case you can no longer do it and need to switch with someone. Feel free to reach out to them and make the switch yourself. If you do switch, please also let me know! Thanks again for all your help!